The new Porsche Boxster is the third generation of the fast roadster unveiled at the Geneva Motor Show. Lighter by 35 kgs, it is packed with sheer power. It comes in 2 models: the Boxster and the Boxster S. Styling is the same as the previous 2 generations, but the doors don't look the same as the 911. Featuring a roomier interior, the centre console is fitted with a 7-inch touch screen. Luxurious extras such as a heated steering wheel and Bose audio are great treats. Larger wheels, longer wheel-base, retractable fabric roof with remote control, Xenon headlights are just a few of the things to get excited about. The specs: base cars get a 265 hp, 2.7 litre engine while the Boxster S has a 315 hp, 3.4 litre engine. It can go from 0-100 km/h (62 mph) in 5.8 seconds with top speed clocking in at 264 km/h (164 mph) while the Boxster S makes the run in 5.1 seconds with top speed of 279 km/h (173 mph). Fuel intake is 8.2 l/100 km (34.4 mpg). CO2 emissions are around 192 g/km, but take note that the new Porsche line is built using fuel containing ethanol of up to 10%. Equipped with mid-mounted engines featuring direct fuel injection and VarioCam Plus, it comes with a six-speed manual gear. You can also opt for the 7-speed gear, dual clutch or the Porsche Doppelkupplung (DPK) for maximum performance and great fuel economy. It features the 'hill-holder' function for smoother climbs. 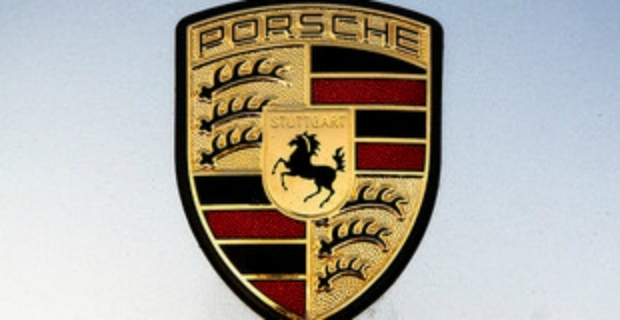 The Porsche Stability Management (PSM) keeps the car stable while driving at high speeds. Options are plenty such as the Porsche Active Suspension Management (PASM), Porsche Torque Vectoring (PTV), and the Sport Chrono Packaging (SCP). The latter has a cool feature: better throttle response and handling to driving conditions, contributing to the stability of the car, improved driving experience and comfort. The new Porsche Boxster is a real driver's car with superb handling skills for those sporty laps. The only thing that’s keeping people away is the price. It currently sells at the standard base price of GBP 37,589.00 including VAT which can be a hefty total once options are added. It is, however, a smart, powerful, and performant car with a dynamic engine and polished chassis.